Planning for the future, and most notably retirement, can be an incredibly stressful and difficult journey. With no way to anticipate what the future will bring, what your investments will be worth, and what choices you’ll make after bidding employment a fond farewell, there are many question marks in the preparation process. There are numerous options when it comes to retirement planning, from pensions to 401(k)s to personal brokerage accounts, all of which have advantages and disadvantages. Whether you’re saving for retirement on your own or working with a financial advisor, there’s no limit to the different ways you can strategize for the future, no matter what it may bring. As the economic landscape of the United States shifts, so does the climate of retirement. As the Baby Boomer generation ages out of the workforce, costs related to Medicare and Social Security are steadily increasing, reducing available resources for younger professionals. As inflation rises at a rate of approximately 3% a year, a pace governmental subsidies cannot equal, retiring is no longer as simple as it used to be. Despite the presumption that medical care will be covered under Medicare, Social Security will provide living expenses, and meager retirement savings are enough, this is no longer the case. The United States Social Security Administration estimates that Social Security should only make up 40% of income in retirement, leaving a large void for many retirees. Medicare does not cover many medical expenses, including vision, dental, and long-term care, requiring an estimated $240,000 in out of pocket expenses between retirement and the end of life. Adults are also living longer than ever; individuals who reach age 65 are expected to live an additional twenty years, leading to two decades or more of life without income. Expenses in retirement will not change radically for many retirees, and most financial advisors counsel their clients to prepare for income requirements of 70% of pre-retirement income. This can be very hard to attain for those without adequate savings or another income source, such as a pension or an annuity, to ensure proper spending money to cover everything retired life may bring. Annuities are a form of insurance that provides steady income over a pre-determined term. As opposed to traditional investments that grow at rates dependent on market performance, annuities distribute income regularly, providing available cash on a set schedule. In order to establish an annuity, individuals provide a lump sum that is then used by the insurance company to generate payments on a monthly or quarterly basis. Annuities come in two standard forms: fixed and variable. Fixed annuities are invested on a pre-determined basis, while variable annuities can be invested based on a user’s discretion. Annuities are also available in deferred forms, where an investment is given time to grow before payments begin, or immediate, where payments begin right away. Annuities are becoming more and more common among retirees, especially since the future is often uncertain. For individuals who do not feel as though they are responsible enough to self-manage money or keep it available for withdrawal at all times, an annuity offers a compelling alternative. With the ability to provide income for a fixed time period or for life regardless of outside influences, there is an annuity right for every retirement situation. 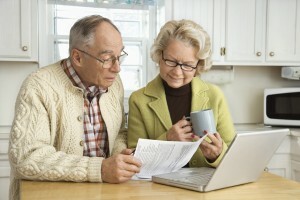 As the demand for annuities grows, so does the need for available options. Longevity insurance is a variation of a traditional annuity in which a policy pays out benefits to the insured party if he or she exceeds a certain age. In essence, longevity insurance is a way to guarantee payment if you outlive your life expectancy and thus your retirement savings. Also known as reverse life insurance, these policies pay out if you live rather than providing support to beneficiaries after you pass. Most policyholders purchase longevity insurance long before reaching the determined age, taking a small amount from retirement savings early on in order to protect against the possibility that their lifespan exceeds expectations. This makes longevity insurance a minimal expense with substantial payouts, so long as the insured’s life span is longer than average. Longevity insurance provides numerous benefits to insured parties, offering guaranteed support when support is necessary. As life expectancy grows, so does the possibility that adults will live longer than they expect. If you live a healthy, active life as an older adult and foresee additional years of life, a small expense now for a large payout later can be extremely valuable. Retirement savings will eventually dwindle to nothing, requiring an extra measure of protection. In addition to the utility of longevity insurance, an annuity designed to pay out after years of investment can be a significantly better deal than an annuity designed to pay out immediately. With late in life availability, this unique form of annuity guarantees a source of income when it’s needed most. Many costs increase at the end of life, including long-term care and medications, requiring more income than many retirees have available. Older adults often cannot live unassisted, necessitating increasing levels of household and personal support, all of which can be costly. In order to live the best possible life, having access to a steady cash flow is vital. Above all else, longevity insurance can provide extensive peace of mind. If you know there’s a chance you may outlive your investments and your carefully-laid plans, having a safety net can reduce your stress and actually help you live a happier life. Preparing for retirement is a long and complicated process, requiring special attention to what the world ahead has to offer. 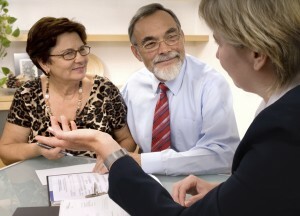 With many ways to save, it can be hard to choose a personalized strategy that is suitable for your needs, especially when there’s no way to know how much money you need, what your investments will yield, or how long you will live. In order to guarantee there is cash waiting if you live beyond your expectations, longevity insurance may be the perfect way to prepare. Offering stability and support in the last years of life in exchange for a small investment in advance, this useful annuity is one of the best possible ways to ensure protection no matter what happens. Retirement may be challenging to predict but with proper preparation you can be ready for anything. With the right combination of investments, retirement accounts, and regular cash flow, you can be sure that you and your future are protected, no matter what life may throw in your path.